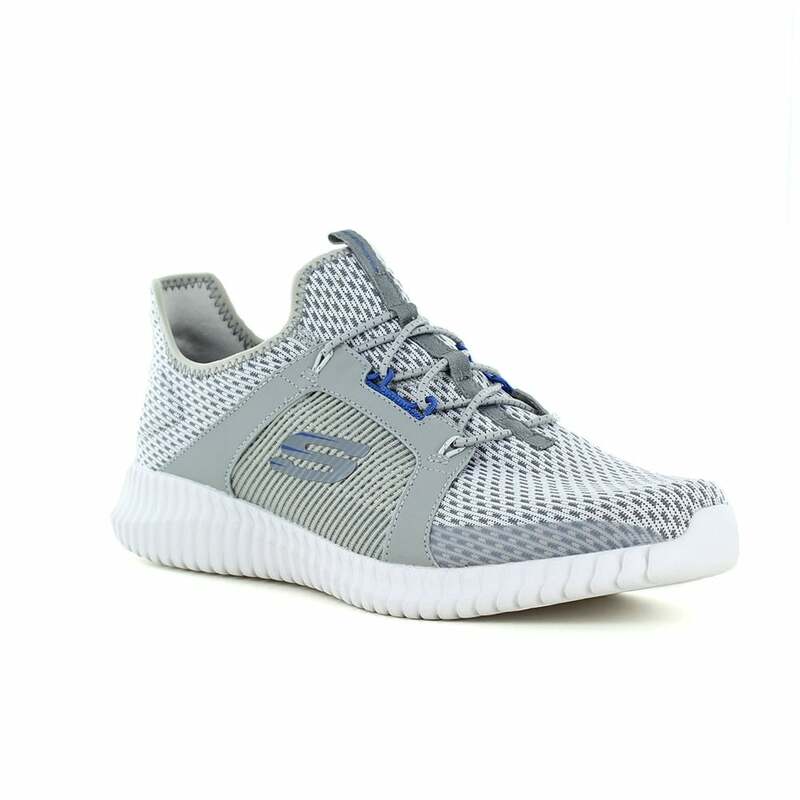 Skechers Elite Flex Mens Trainers, available here in an all new grey and blue. Take the lead in sporty style and comfort with the SKECHERS Elite Flex shoes. These superbly comfortable sports fashion trainers feature textile and synthetic upper with stitching. Finished with a durable but super soft synthetic textile, the memory foam moulds itself to the shape of your foot and compresses slowly under pressure for a unique and luxuriously cushioned feel. Buy the Skechers Elite Flex at Scorpio Shoes.